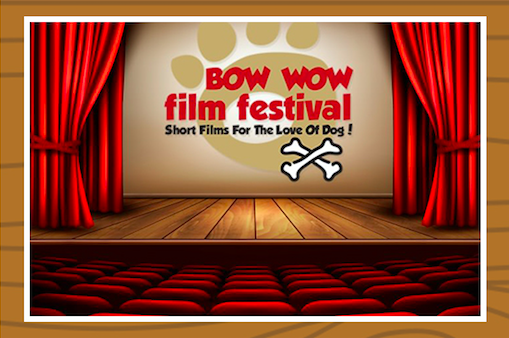 September 22nd is the Bow Wow Film Festival at Tank 18 (yes, very trendy we know!). Pet Camp is thrilled to sponsor this event to support the amazing work of San Francisco Aid for Animals. Doors open at 5:30 and films start at 6:30. There will be drinks, snacks, door prizes, raffles and dog movies (or at least movies about dogs). Get your tickets and come out and watch the films! Tickets are $20 for adults and $10 for kiddos 12 and under. At the door tickets will be $25 for adults and $10 for 12 and under. We are so excited about the movies we have chosen for our 2017-18 Tour! A few highlights for this years films; we have movies about working dogs, both old school and new school, we have the return of the delightful Ask Frank and his advice column and we go international with movies filmed abroad! Come on out for a fun evening! Watch some awesome flicks and win fun Bow Wow schwag, all while you support valuable community organizations! See you at the show! Dogs are welcome at this event! DUH!